Please note: policies and procedures that are specific to our Higher Education students can be found at the following link: HE Policies & Procedures. Our College is committed to safeguarding adults at risk and promoting their welfare and expects all staff, governors, volunteers and visitors to share this commitment and maintain a vigilant and safe environment. Everyone has a responsibility to act, without delay, to protect adults at risk by reporting anything that might suggest an adult at risk is being abused or neglected. Our College is committed to safeguarding children and promoting children’s welfare and expects all staff, governors, volunteers and visitors to share this commitment and maintain a vigilant and safe environment. Everyone has a responsibility to act, without delay, to protect children by reporting anything that might suggest a child is being abused or neglected. At The City of Liverpool College, we welcome your views and offer all students the opportunity to provide input when we review our services. The City of Liverpool College is committed to understanding all potential modern slavery risks related to its business, to ensure that there is no slavery or human trafficking in its business and supply chains. All records held by The City of Liverpool College are maintained in compliance with the principles of the Data Protection Act 1998. 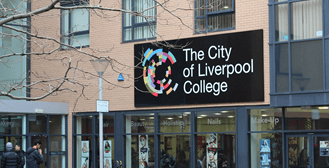 The City of Liverpool College is committed to making as much information as possible about College activities generally available to the public. The City of Liverpool College's family friendly policy sets out the support it offers its employees.